Throughout 2017, thousands of people fleeing unrest in Burundi continued to cross the border to seek refuge in Tanzania. Tanzania has been spared the internal strife that has struck many African states. Despite this, domestic stability has not translated into economic prosperity for Tanzania's more than 56 million people. Many live below the World Bank poverty line, although the country has had some success in wooing donors and investors. Tanzania is home to two renowned tourism destinations - Africa's highest mountain, Kilimanjaro, and wildlife-rich national parks such as the Serengeti. Médecins Sans Frontières/Doctors Without Borders (MSF) first worked in Tanzania in 1993. We returned in 2015 to provide assistance for Burundian and Congolese refugees living in overcrowded camps. “I’ve been living in Nyarugusu for six months but have actually spent most of my life as a refugee: I grew up in another camp in Tanzania after my parents and I were forced to flee our country. I still find the conditions here difficult, though – it’s a struggle to get enough food and water and living in a tent wears you down. 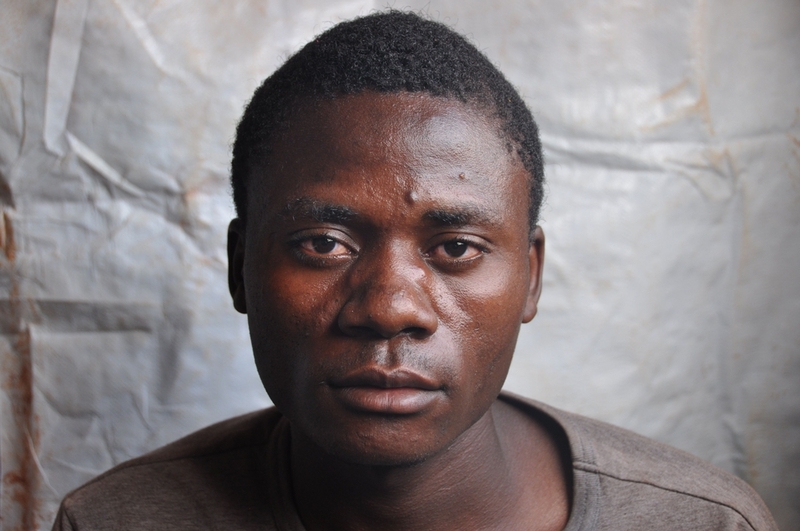 "I’ve just been diagnosed with malaria and I can’t stop shivering and shaking. I have a headache and nausea and feel very cold. I’m also worried about my wife. She is four months pregnant but has been having stomach pains and is now in the camp hospital. I’m scared about what might happen to our unborn baby. In January, the Tanzanian government revoked the prima facie status of Burundian refugees. This meant that automatic refugee status was not granted to new arrivals in the country, and each person had to have their refugee status determined individually. Although the number of arrivals from Burundi decreased over the course of the year, there were still a total of 315,156 refugees living in three camps – Nyarugusu, Mtendeli and Nduta – by December. This included over 80,000 from the Democratic Republic of Congo in Nyarugusu. All camps were at full capacity at the end of 2017. In 2017, MSF was present in Nyarugusu and Nduta. In Nyarugusu, the facilities included a 40-bed emergency room and a stabilisation unit. Teams conducted water, sanitation and health promotion activities, ran malaria clinics and provided mental health consultations. 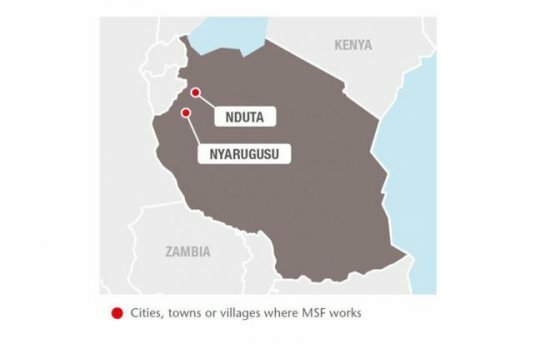 MSF had phased out of all of its activities in Nyarugusu by the end of May, donating some of its medical facilities to the Tanzanian Red Cross. 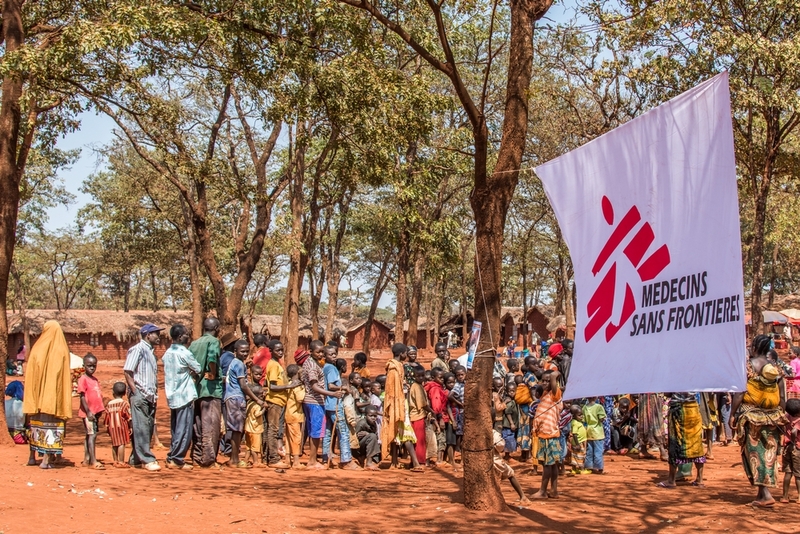 In Nduta camp, which was at double its intended capacity at the end of the year, MSF was the main healthcare provider. Teams ran a 175-bed hospital, six outpatient health posts and health promotion activities. Hospital services included maternal care, nutritional support, paediatric and adult inpatient departments, and an emergency room. Specialised outpatient services, such as treatment for HIV, malaria and tuberculosis, were also provided. Malaria remained the most common medical problem in the camp, accounting for around a third of all outpatient consultations in 2017. Despite the comprehensive malaria prevention and control activities in the camp, including rapid access to diagnosis and treatment, the infection rate remained very high during the rainy season. In December, MSF distributed thousands of mosquito nets in areas identified as being high-risk due to the concentration of mosquitoes and the incidence of malaria. The number of patients with diarrhoea and skin diseases also remained high due to poor living conditions and hygiene in certain areas of the camp. Protracted encampment and a general sense of insecurity in the camp, together with helplessness about what the future holds, caused mental health needs among the refugees to grow significantly in 2017. The main diagnoses were depression, anxiety and psychosomatic disorders. In addition, the number of patients presenting with acute psychiatric conditions at the MSF hospital increased throughout the year.